Today, I'm spotlighting this debut novel by Fred Shackelford. I used to be a John Grisham fan so I'm always attracted to good books written by attorneys or lawyers. Check it out and enter to win a $50 Amazon GC! Thank you! I'm enjoying the tour. Good luck in the contest. The Ticket sounds compelling, intriguing and thrilling. Thanks for this lovely feature and giveaway. Thanks! If you read The Ticket and enjoy it, please consider leaving a comment online at Amazon, B&N or Goodreads. Thanks. You can be sure the odds of winning the Amazon gift card are better that the odds of winning the lottery! Mystery is my favorite genre to read. This sounds great! Thanks! I hope you'll have a chance to read and enjoy The Ticket. The cover has me asking a lot of questions. I am curious. 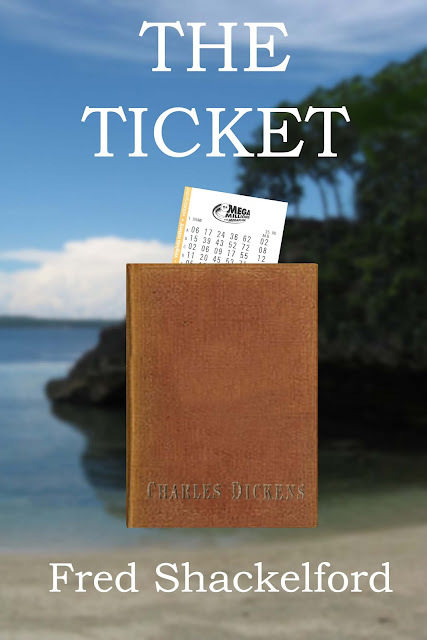 The villain in The Ticket hides his winning lottery ticket inside a rare book, and then someone takes the book. That's the idea behind the cover design. I would have been carrying that book round in my brief case with me! Me, too! And I would be heading straight to a bank to hide the ticket in a vault. I've played those numbers many times, but no luck so far. The odds are pretty steep -- 1 in 302 million. Thanks for the chance, book sounds intriguing!!! Thank you! 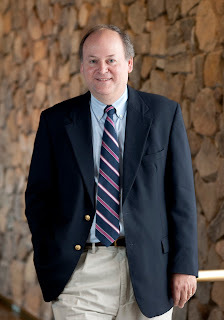 If you'd like to see reviews of The Ticket, please visit my website at www.fredshackelford.com. I love Grisham books, too. On Amazon, one reader's comment compared The Ticket to Grisham's work. Thank you. I enjoyed writing The Ticket and hope you'll have a chance to read it. This sounds like an amazing read! Have to know who bought the book and hidden ticket! This sounds good. I wonder if Susan will end up realizing she has the ticket! I hear about things like that happening often when someone wins the lottery big time. This would be an interesting read! Thanks. The Ticket is a fun read. I think this book sounds fantastic. I am a big time lottery player...I know, I know! Tisk, Tisk! I hope you'll read The Ticket! I think you would enjoy The Ticket!